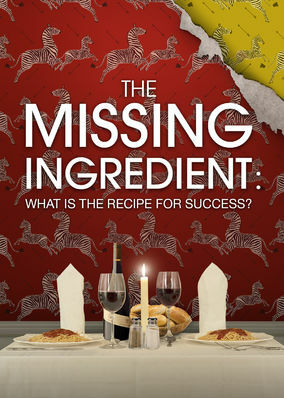 The Missing Ingredient (2015) on Netflix USA. Check worldwide Netflix availability! If The Missing Ingredient isn't available in your country, or you are visiting a country where it isn't, there is still a way to watch it! Two New York restaurants come alive in this documentary showing what happens when one beloved institution closes and another reaches for success. One restaurateur takes a bold move to make his place stand apart. Who knew zebra wallpaper would be so controversial?